I’ve never liked biking in the rain, but especially never liked waking up at 5 a.m. 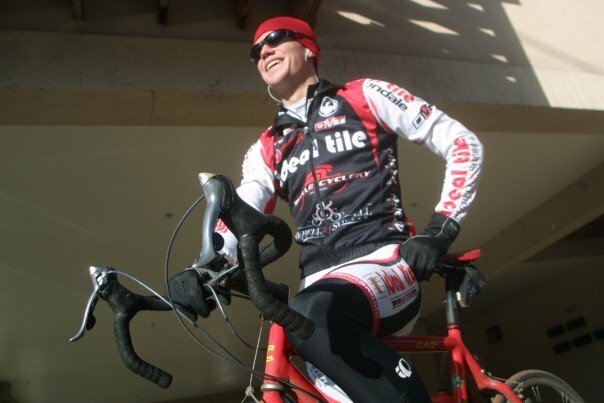 Early mornings and soggy jerseys were common during my cycling career, but I accepted it as it made me stronger, tougher and faster. These were the attributes I needed in order to achieve my goal of ascending to the highest level of the sport. To be fair, the days weren’t all gray; there were sunny days, too. In fact, most days were sunny, but of course I most vividly remember the tough ones. And that is probably because my perception of those more difficult rides correlates directly to my success. Looking back, perhaps I should have enjoyed those sunny days more. When I came to business school, I believed that my only objective was to get a job. As I have often found out in school, I was wrong. My objectives are to make lifelong friends, develop industry connections, get an outstanding education, make an impact, AND get a job. I have often heard my 2016 classmates saying that they thought they would have more free time after locking down an internship. I thought this, too, but failed to comprehend the time commitments associated with working on GLOBASE, participating in the MBAA, involvement with several clubs and attending events every single week. The burden of being a future business leader is that sleep becomes a luxury of sorts. After we bid adieu to the class of 2015 and now span across the globe for our internships, I am reminiscent about the past 10 months. I have stumbled a lot here at Kelley and, at times, fallen flat on my face. There have been interviews in which I should have just excused myself after the first five minutes, presentations in which I literally forget how to speak, and classes in which I was so lost, I didn’t even know what chapter we were on. At the same time, there have been amazing moments as well. I developed strong relationships with my core team members, made it to both first semester case comp finals, spent New Year’s in Colombia with three of my classmates, and got the internship I wanted. This combination of these successes and failures has gotten me to where I am today. However, if I had allowed myself to enjoy the happy moments more, I would still be where I am today. I should have simply enjoyed the spicy and amazing Indian dinner with my teammates rather than incessantly worrying about all the deliverables I had to do the following week. Or instead of rushing to do as many practice case interviews as possible, I should have focused on doing one interview really well and getting to know my interview partner as more than just a peer resource. My advice to the class of 2017 is to enjoy your moments, for better or worse. When you are stuck on a quant problem and have just stared at your computer screen for an hour straight (well, besides checking Facebook seven times), just take a break. When you present in front of class and catch yourself rambling on for four minutes and have no idea what you said, just laugh it off. Enjoy the time you have with your classmates and the Kelley community because it will fly by. Challenge yourself to really get to know classmates who are completely different from you. Take a class at the SRSC, go see a performance at the Jacobs School of Music, or just sit in the school greenhouse and breathe. Celebrate your successes, learn from your mistakes, plan and prepare for the future, but live your lives in the moment. Welcome Class of 2017. I look forward to sharing the journey with you. 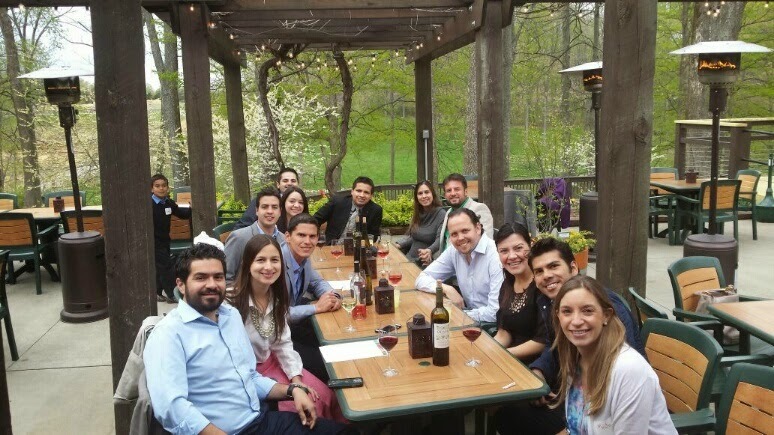 The Latino Faculty and Staff Council (LFASC) hosted an awards reception on April 24 at Oliver Winery. I am proud to say the Latin MBAA, the Soccer Club and the Institute for Global Organizational Effectiveness (IGOE) were recognized with the award for Distinguished Group or Event for Semana Latina 2014. Semana Latina took place in October 2014 at the Kelley School of Business and included a week-long set of activities aimed at increasing awareness of Latin cultures. The two main events included panels on “Building bridges between Latin America and the U.S.” in which distinguished speakers shared their experience working with Latin American markets and the Mini World Cup tournament in which more than 30 MBA students from different countries participated. Being recognized with this award was a big honor for those of us who were involved in planning and executing the events. As the former president of the Latin MBAA and one of the organizers of Semana Latina 2014, I had the privilege of addressing the reception attendees. On behalf of the Latin MBAA and the Soccer Club, I thanked the Latino Faculty and Staff Council (LFASC) for the award and expressed how thankful we were to the IGOE who sponsored Semana Latina, and in particular to Professor Herman Aguinis, founding and managing director of IGOE, for his support. Without the support of IGOE and Professor Aguinis, this wonderful set of events would not have been possible. I am convinced that organizing Semana Latina every year is positive not only because it increases the awareness of Latin cultures, but also because it exposes MBA students to the importance of understanding how business is done in Latin America regardless of what part of the world you are from. I want to thank again IGOE for sponsoring this week of wonderful events as well as the rest of the Latin MBAA, Cesar Borrero, Andrea Arguello, Nicolas Rebay and the Soccer Club, Juan Ramirez, Michael Jones and Eduardo Padilla, for working so hard in planning and executing Semana Latina 2014. The fifth MBA Mexico event took place at the Kellogg School of Management on April 17 and at the Chicago Booth School of Business on April 18. 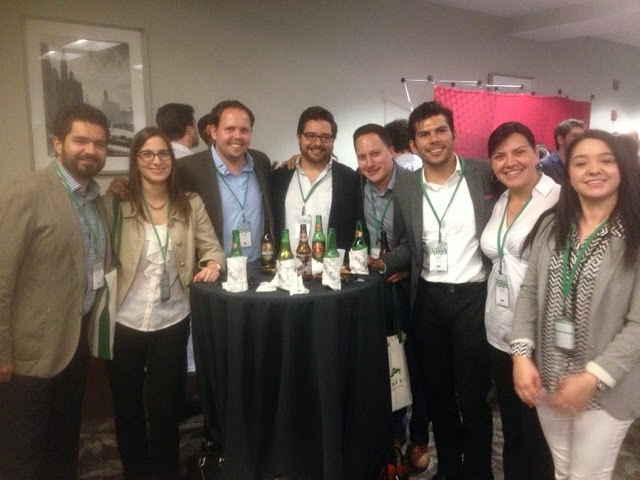 For this event, current Mexican MBA students from top US universities get together to network and enjoy sessions from very distinguished Mexican executives, politicians, journalists, entrepreneurs, and other successful business people. 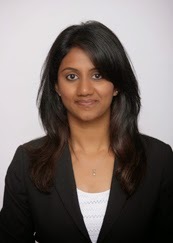 In this year’s event 150 MBA students had the opportunity to hear from 9 different speakers. On Friday, Claudio X. Gonzalez, President and Board Member of Kimberly-Clark de Mexico, kicked off the session with his speech about Mexico and its future potential. Then, Carlos Loret de Mola, anchorman of Televisa’s news program Primero Noticias, provided an assessment of Mexico’s current political situation as well as a detailed panorama of challenges faced by journalists throughout the country. The day ended with a networking event with some cocktails and appetizers. On Saturday, Adrian G. Sada, Chief Executive Director of Vitro, started the day with a speech about Vitro’s main challenges and how he has managed to turn things around after rough years the company was facing. Afterwards, there was a panel discussion where Pilar Aguirre (Chief Executive Director of Endeavor), Claudio del Conde (Founder and Chief Executive Director of Kichink), Alberto Saracho (Partner and Director of Fundación IDEA), and Enrique Jacob (President of Instituto Nacional del Emprendedor) shared their experiences regarding the entrepreneurship realm and opportunities available in Mexico. After the panel discussion, Margarita Zavala, lawyer and active member of Partido Acción Nacional, talked about education in Mexico and the different metrics that show how the country is improving in several areas. The last speaker was José Antonio Fernández, Chief Executive President of FEMSA’s Management Council, who spoke about the things that must be done to keep improving the country as well as to focus on such actions that would contribute to the well-being of the society as a whole rather than on one’s own well-being. After the last session, the audience split into several groups for a networking get-together in several restaurants of Chicago. The closing event took place at Hubbard’s Inn where all the students mingled together for the farewell party. These types of events are very important because they contribute to a collective sense of awareness of the different challenges that Mexico is currently facing. They also contribute in the sense that they urge the potential future leaders of the country in taking actions to improve the current problems of the country in order to foster growth. I want to thank Kellogg and Booth MBA students for organizing this event, as well as to thank the Institute for Global Organizational Effectiveness (IGOE) for sponsoring Kelley students to participate. It was a great experience and I look forward for next year’s event. The Business Marketing Academy has a tradition of announcing the academy project teams during the BMA annual holiday party, and I was excited to have been assigned to a project for an American multinational conglomerate. As I reflect on my academy project experience, I realize its importance in preparing me for my summer internship. It was a great opportunity to learn about effective storyboarding and client engagement. Over winter break, our team kicked off the project with initial research on our client and their industry. As this was a 12-week project, we knew it was critical to map out the project timeline with checkpoints and intermediate reviews with the client to ensure we were aligned with the executive sponsors and the project goals and deliverables. Right after the planning phase, we set out to understand the current business situation. The team interviewed several corporate managers across business units to understand the process bottlenecks and challenges the organization was facing. A good balance between internal and external research was essential to gain substantial insights that would help design our strategy. 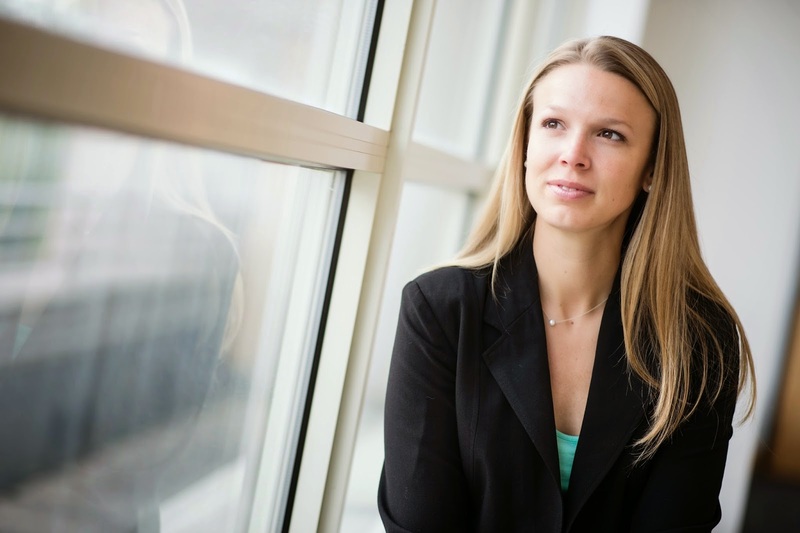 The academic curriculum and case-based learning in the Kelley MBA program taught me the key frameworks to use in assessing a business challenge and allowed me to develop my analytical thinking skills by discussing complex, real-life scenarios. My experience working on the academy project gave me the opportunity to see how theory can really differ from practice. As future managers, while we would be involved in designing the strategy for any business unit or an organization as a whole, the academy project exposed me to the challenges organizations face in the implementation of a strategy. For our team specifically, the biggest challenge was managing perceptions of the strategic plan within (employees) and outside (customers and channels) the organization. And this is where organizational behavior, organizational culture and marketing communication come into play. The BMA project was a great experience that prepared me to take on my summer internship with more confidence and a clear roadmap to guide me. Last month, the Owen School of Business at Vanderbilt University in Nashville, Tennessee, hosted the second Latin Business Challenge. The case competition provided a scenario in which a nonprofit organization (Nutri-Plus) developed a nutritional peanut based product (Mani+) to help reduce malnutrition in Guatemala. Currently, Guatemala has the highest rate of malnutrition in Latin America, where 50 percent of the children between 0-5 years old have some level of malnourishment. Nutri-Plus is having issues making its operation sustainable, as they are currently selling their product at a loss and they are facing strong competition from cheaper products that are targeting the same customers as Nutri-Plus (mainly NGO’s). Students were asked to provide possible solutions to increase sales and make its operation more sustainable. 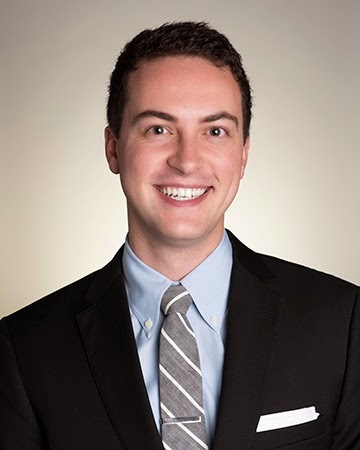 With the support of the Institute of Global Organizational Effectiveness (IGOE), the Kelley School of Business was able to send an MBA team to compete against several other business schools. As the only 100% Latin team, Alejandra De Caso, Miguel Florez, Santiago Hope, Sulay Alvarenga, and I used all the hard and soft skills learned at the Kelley School of Business to make our presentation both strong in content and structure. Judges included representatives from Deloitte, AT&T, and the CEO of Nutri-Plus. By making bold recommendations supported with extensive data, including increasing the price, changing the target market to partner with major corporations, and changing the sourcing of raw materials from organic peanuts to conventional peanuts which offered the same nutritional value at a much lower cost, the Kelley team brought home the gold (and the $5,000 prize) for the second straight year. 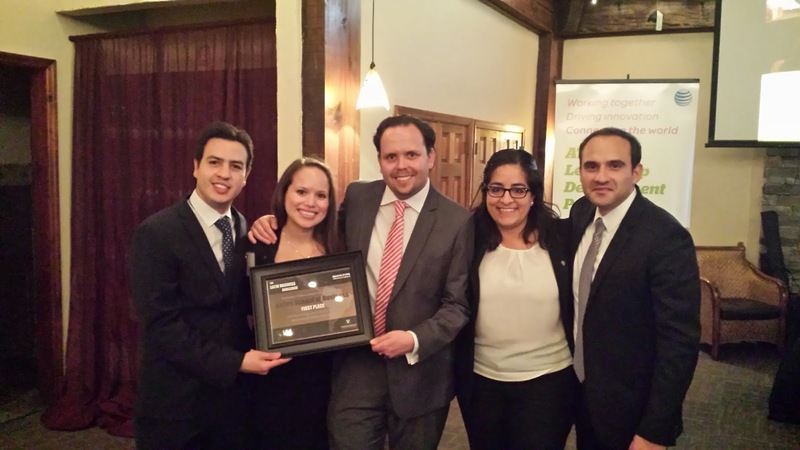 This case competition was a great opportunity for us to get our hands on real work experience while doing our MBA, and it was even more rewarding to work on a project that had a social impact in Latin America. This competition showed once again the quality of the Kelley students and brought attention to the social issues in Latin America that should be part of the discussion in every business school. 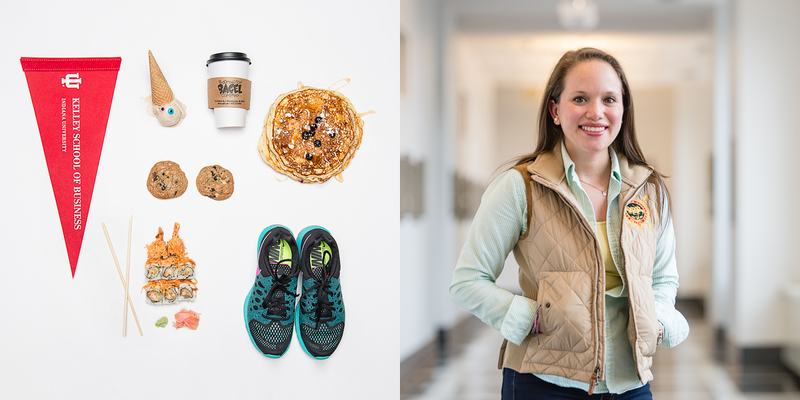 Sulay Alvarenga, MBA’15, and her favorite things. 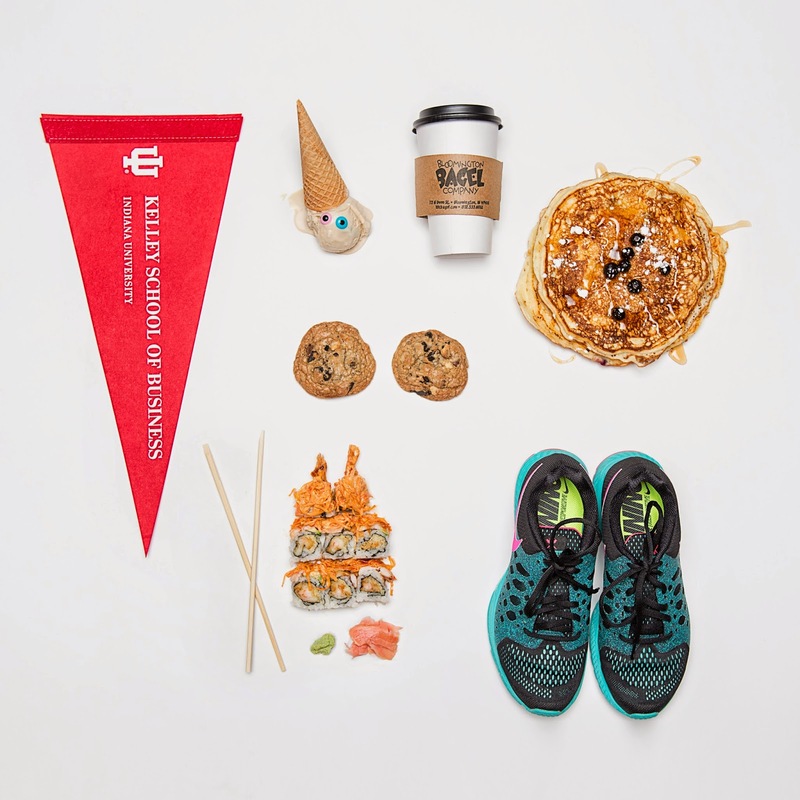 Kelley Experience Weekend is this Thursday through Saturday at Indiana University. More than 100 prospective MBA students will visit the Kelley campus and see what our program—and our thriving city—has to offer them. 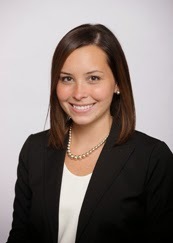 We asked Sulay Alvarenga, MBA’15, to recap some of her favorite things about Bloomington. Browse her list, and try a few while you’re in town this weekend. As someone with a serious sweet tooth, I was thrilled to discover a place in Bloomington that makes fresh baked cookies on-site with whatever crazy toppings you want. Only Baked! can give me chocolate chip, Oreo cookies with macadamia nuts! I love ice cream in general, but there’s something special about The Chocolate Moose. It’s a place that’s iconic to Bloomington and the IU community. I have to say, it’s also the only place where I see people line up for ice cream regardless of how cold or warm it is outside. The Student Recreational Sports Center has a ton of great group exercise classes, but my favorite one is High Intensity Interval Training. I first experienced the class with my good friend Aaron and it became a fun activity we would suffer through together. There really is nothing like getting that fresh cup of hazelnut coffee from Bloomington Bagel Company right before class. It’s nothing fancy but always tastes so good! While the Sample Gates are iconic to Indiana University, it’s seeing them with that picture perfect backdrop in the fall that makes you stop and really appreciate our beautiful campus. Kirkwood is known for its high traffic, especially during Parents Weekend. I love walking around downtown when no one is around and seeing all the great local restaurants and shops we have. As a grad student, I try to be mindful of my budget, but there are certain things you just have to indulge in. Sunday brunch at Scholars Inn is definitely something you can’t pass up. I love their blueberry pancakes and mimosas! I was definitely late discovering the crème brûlée at Uptown Café, but I’m so glad I did! The dish is just amazing; combining a great dessert with an iconic breakfast option. What could be better? I only started eating sushi a few years ago, easing into it with avocado and California rolls, and then upgrading to spicy shrimp and eel rolls. The Lion King roll was probably the first specialty roll I ever had and I loved it! I’ve ordered it at other sushi restaurants, but it’s never the same. The one at Japonee is just special. Tailgating at IU is all about grilling on the lawn, having a few drinks and enjoying the fall weather with friends. 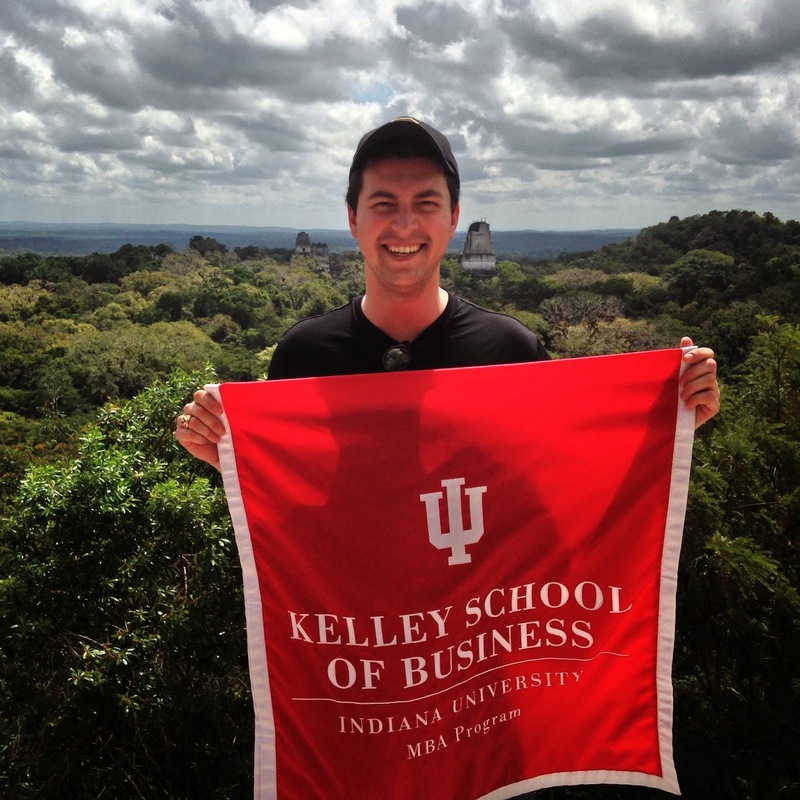 I love seeing everyone in their IU and Kelley gear! Having gone to Georgetown for undergrad, I was excited to be at a Big Ten school where the basketball games would be on another level. The excitement at Assembly Hall is crazy! What are your favorite things about Bloomington? Join in on the discussion using the hashtag #BtownAudit. 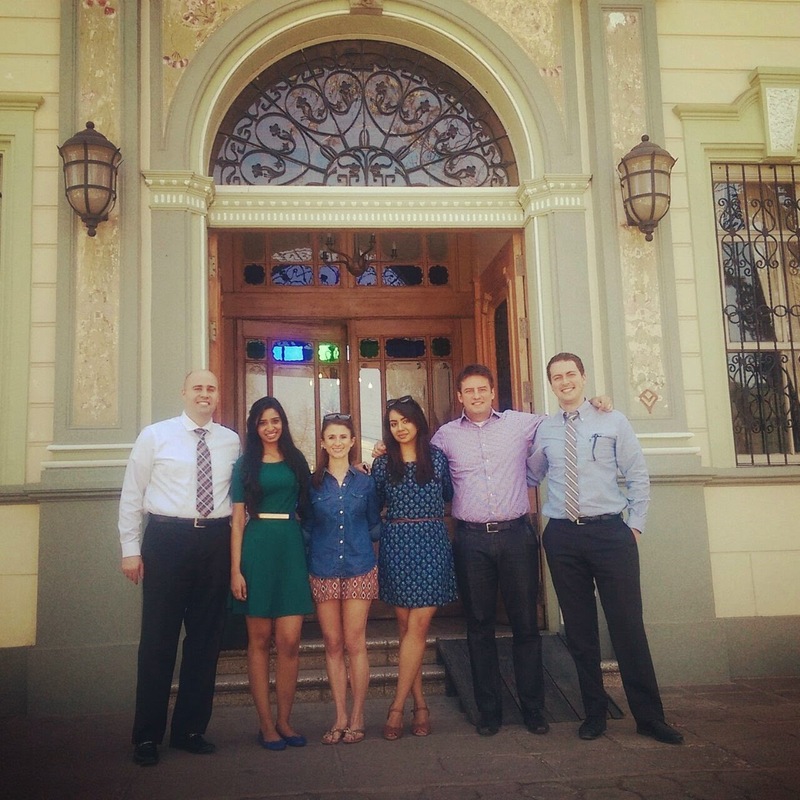 I recently traveled to Xela, Guatemala for Spring Break as part of the Global Business and Social Enterprise Program (GLOBASE). 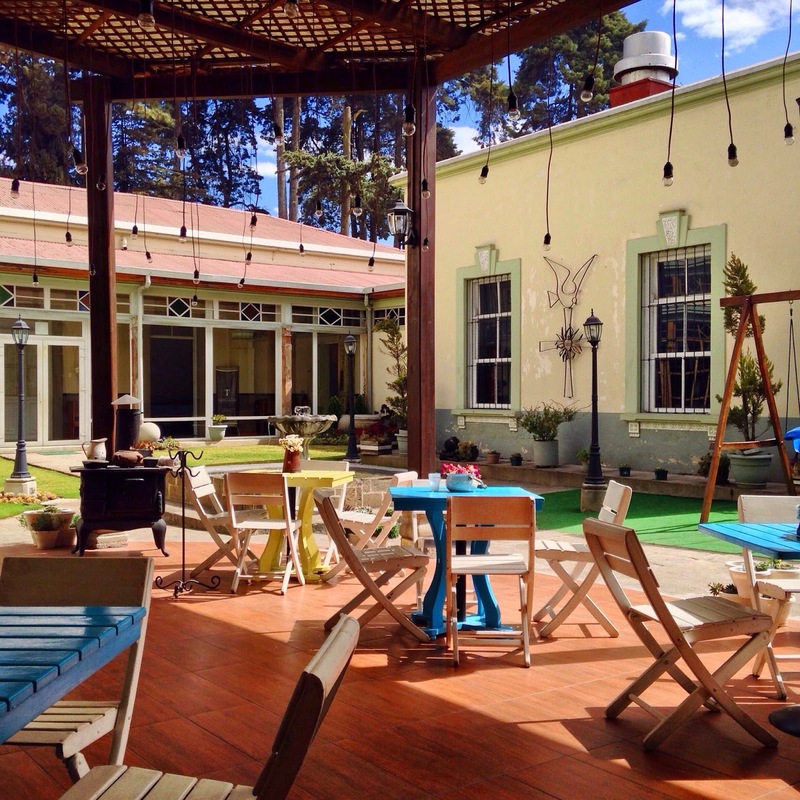 My team and I delivered an inventory management tool to one of the best restaurants in the country—and definitely the best in the state of Quetzaltenango—called Tertulianos. We wanted to help the restaurant have a better visualization of how they use funds and how they can more effectively track inventory, while preventing loss and spoilage. The most important thing I learned from this experience was how to scope, develop, and deliver a solution within a tight time frame without over- or under-promising the client. If the tool is implemented correctly by Tertulianos, it has the potential to help continue the restaurant’s double-digit annual growth, this time with more profitability. What I did not expect to learn was the continued development of my Spanish language skills. I come from a liberal arts background (I studied Spanish and Economics at DePauw University), so I served as the translator not only for my team but for many of the 20+ students who also traveled to Guatemala for GLOBASE. I was one of two translators on the trip. The opportunity to utilize my language skills made this GLOBASE trip particularly appealing to me because I was able to leverage a skill I have spent years developing and perfecting. It helped me to create a more holistic business experience. My Spanish language skills helped me to be more effective in my leadership role within our team. One of our greatest challenges was assisting our client in articulating ideas for additional uses for the program we developed. Some of their comments included fine-tuning the program to make it even more effective. I was able to walk them through visualizing their current inventory management processes and understanding how those processes could be even more effective. That way, when we delivered the final version of our solution, they had a strong understanding of the basics of operations management and process improvement. My Spanish, combined with the coding and operations management skills of my teammates, not only helped us understand our piece of the project, but also reminded us which parts we were responsible for. In the end, this was an opportunity only the Kelley School could offer, and it’s one of the main reasons I applied here. In fact, in my interview for admission, I mentioned GLOBASE Guatemala as one of the programs that most interested me. Last year I was assigned to a project engagement with a local veterinary hospital. We spent the Academy Week mapping out the engagement: Meeting and building a relationship with our client, scoping the work we would be doing, laying out a project plan and timeline, and finally presenting the week’s work to the client. It was a long process, but really set us up for success moving forward after spring break. As a second-year student, I have the privilege of working as a Subject Matter Expert for this year’s Academy. While the first-years I am working with didn’t require a lot of guidance through their Academy Week process, it was pretty awesome to reflect back and realize how much I have learned in the short year and a half that I have been here at Kelley and with my internship at Deloitte. The Academy Project does an excellent job of preparing students for the summer internship. For me specifically, I gained invaluable experience in the nuances of client interaction and storytelling. While my previous work involved a lot of client service, I was not familiar with formal project management and scoping. Our client initially came to us with a list of project ideas, and we learned quickly that many of those project requests were symptoms for a more central need that should be approached first. Figuring out how to best communicate our process, rationale, and defined scope to our client and receiving buy-in for our approach was an important takeaway for me. Having had the client interactions we did and working with a great team, I felt much more confident going into my work last summer. While the recommendations we made were supported with data supplied by our client, it was a great learning experience having to figure out how to support some of our more qualitative recommendations. Throughout the process we received feedback from our advisors. “That sounds promising, but how do we know that’s going to work?” Having to really dig for support led us to make more refined recommendations that were in the end much more impactful for our client. There are many ways to look at data, and it is in the story that you can make an impactful and implementable solution. I was impressed with my first-year team’s organization, thoroughness, and professionalism. I am excited to see what they will be able to deliver to their client through the course of the project. Best of luck to this year’s Consulting Academy! Each spring semester, first-year Consumer Marketing Academy students are given the opportunity to replicate the summer internship experience through an 8-week project that tackles real business challenges from some of the country’s top brands. It’s easy to draw logical conclusions and recommendations from research, only to realize later that the data was not as impactful as it may have initially appeared. Throughout the internship process, it is crucial to continually review the findings and ask myself, So what? Where are the true impacts on firm performance or consumer behavior? What inputs are making the biggest difference? By routinely meeting with junior and senior managers played by second-years and faculty members, CMA teams learn the importance of regular gut checks. The Who-What-How framework established by the CMA project allows students to develop a persuasive argument by fully understanding the mindset and demographic of the target consumer, the functional or emotional benefit the product or service is offering that consumer, the tactics to employ to communicate to those consumers, and the ultimate size of the prize from winning that consumer. By breaking each piece down into smaller assignments and memos, students learn to give each component the attention it needs. The semester flies by, as will an actual summer internship. One of the things stressed during the CMA project is the importance of incremental goals and benchmarks, as well as the importance of gaining stakeholder feedback through the process. One of the most valuable takeaways from my experience as a first-year was the plan I created for myself to use my first week on the job. At which point will your scope of recommendations start to narrow? During what week will you begin to build the final deck? When should senior managers see my research? If given only 10-12 weeks to make a positive impression, you need to use that time wisely. Although second-year advisors are instructed to provide only limited coaching and allow the teams to reach their own conclusions, there is one point I have to stress–take this thing seriously. These projects are like elaborate dry runs and are something other MBA programs do not have; something that gives Kelley students an incredible advantage over the summer. Good luck teams, make us proud!